MONTRÉAL, QUÉBEC--(Marketwire - Nov. 2, 2012) - On October 29, 2012, the Québec Federation of Real Estate Boards (QFREB) and the 12 Québec real estate boards filed a complaint with the Competition Bureau regarding misleading information in DuProprio advertisements, more specifically with respect to their ad campaigns initiated during the past 18 months that the QFREB deems to be misleading, both in terms of their rates and the hypothetical savings that are promised to consumers. "In the opinion of the QFREB, the situation that we are bringing to the attention of the Competition Bureau is harmful to Québec consumers, as they are being misled," said Hélène Morand, Chief Executive Officer of the QFREB. The Competition Bureau has received the complaint and the QFREB will make no further comment on this matter. 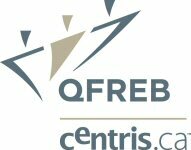 The Québec Federation of Real Estate Boards is a non-profit organization composed of Québec's 12 real estate boards as associate members and close to 15,000 real estate brokers who are affiliated members. Its mission is to promote and protect the interests of Québec's real estate industry so that the boards and their members can successfully meet their business objectives. For more information, including quarterly statistics for the province of Québec, as well as its municipalities and regions, visit centris.ca®, Québec's real estate industry website.